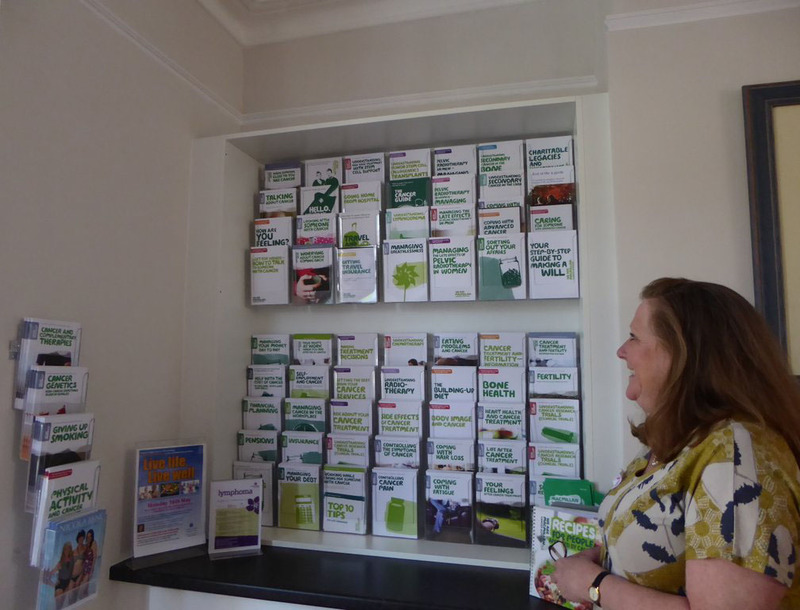 The Cherry Lodge Cancer Information and Support Centre is conveniently situated at Howard House, 23 Union Street, in the heart of Chipping Barnet. It is easily accessible by bus and underground train, or, if you come by car, there is on-street parking nearby (Blue Badge or payment by mobile phone) as well as a large paying car park at the Spires Shopping Centre (entry from Stapylton Road). 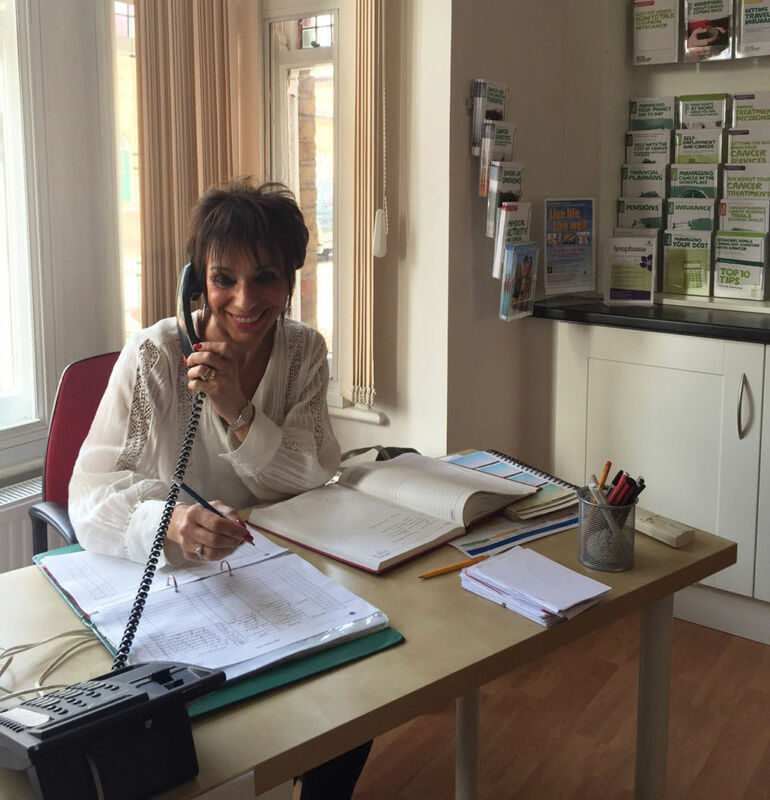 It has always been a priority to make our Centre non-clinical in appearance and atmosphere. The front door is painted a cheerful bright blue and to either side of it there is a small garden, complete with a flowering cherry tree. This garden was made possible by a generous donation, in the form of a legacy from the uncle of one of our erstwhile members, Pamela Donn, and is dedicated in her memory. 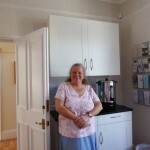 Inside the Centre, on the ground floor, there is a welcoming reception area manned by friendly and helpful volunteers. 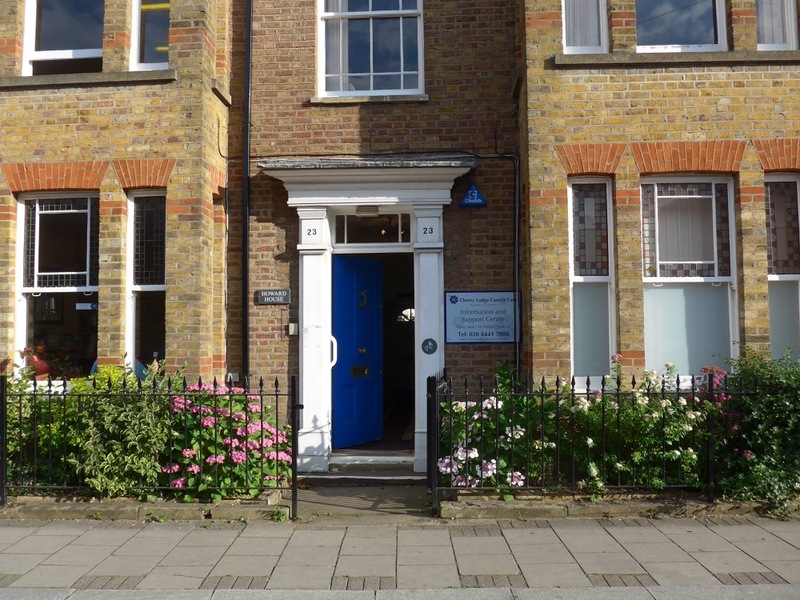 Behind it is a meeting room, called the Andy Weekes Room, in Andy’s memory and in recognition of the stalwart fundraising efforts of Summer Soulstice. 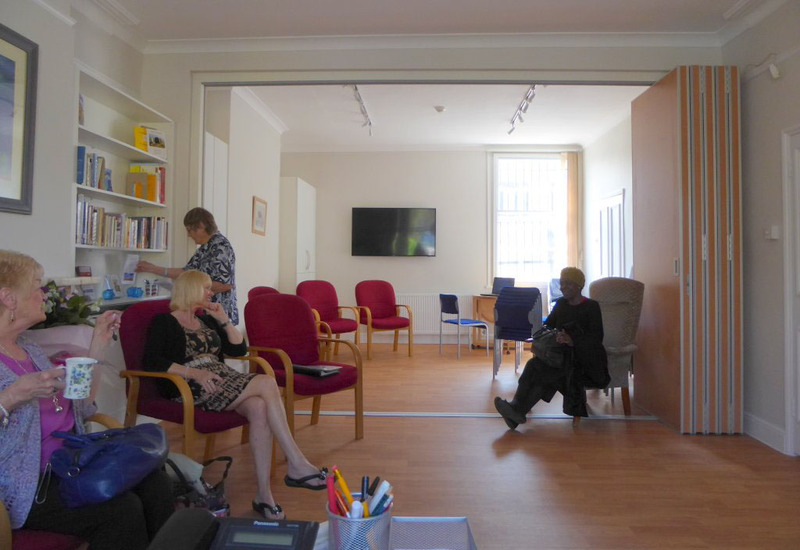 Connecting these two rooms are large, soundproof, folding doors (new in 2016), which can be opened to create a large meeting space that is ideal for our our weekly Drop-In Sessions, when the Centre becomes a hive of activity. 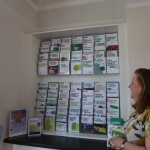 These rooms contain our library of books and leaflets on cancer-related topics. 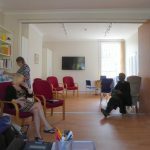 Also on the ground floor are two spacious therapy rooms, which we were able to remodel, refurbish and fit out to a high standard with money from the Caron Keating Foundation, Oil Aid and other donors. Our tour of the ground floor ends with another small therapy room, a small service area with dishwasher and fridge, and two toilets (one of which is suitable for people who are disabled). 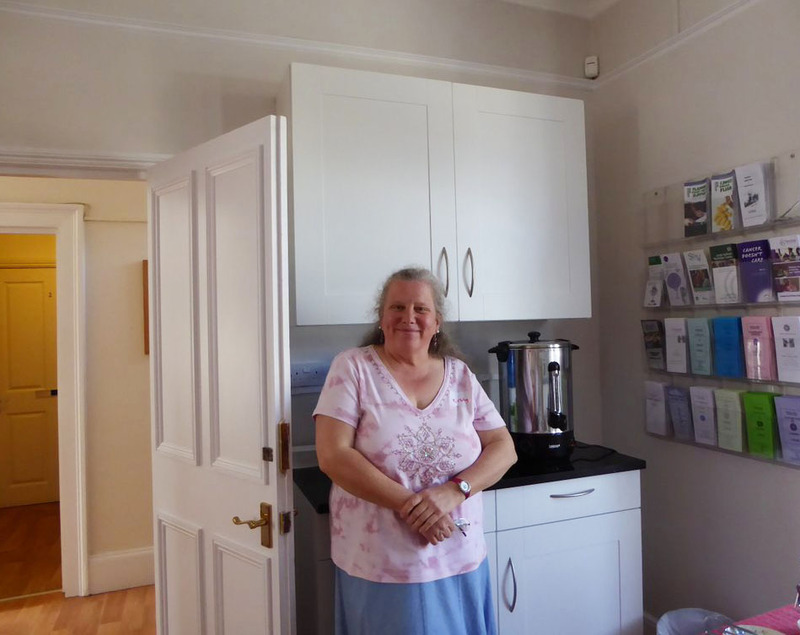 Upstairs, there is another large therapy room, a quiet room, an interview room, offices for Cherry Lodge staff, another toilet and a small kitchen. In addition to the donors mentioned above, we would also like to thank all the other individuals and organisations who have contributed to the fabric and running of our Centre with their gifts of money, furniture, pictures, supplies and time. We are especially grateful to the Hadley Trust for their generous annual donation. Past funding from the former PCT and later from the London Borough of Barnet was extremely useful and much appreciated. We additionally wish to thank all those organisations, large and small, that have adopted Cherry Lodge as their charity of choice.